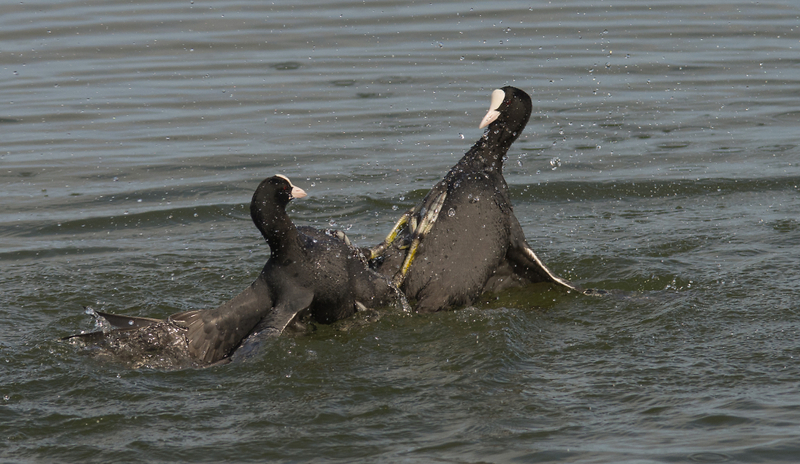 Coots fighting each other at Dungeness RSPB reserve. Well caught photo but I only see one pair of birds. But I don't think they are Fighting ! Ah that's a good point...lol. Yep only two in this one. They were definitely fighting each other, as the other 2 birds were also and they arrived and left in their pairs.